Agent Provocateur Fatale Perfume Rangne from Slapiton Beauty. 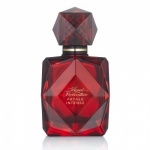 Agent Provocateur Fatale Eau de Parfum is an enticing, seductive and enigmatic scent with an irresistible signature personality, this fragrance exemplifies the dichotomy of the Femme Fatale. The outrageously bold and enticing top note is a striking blend of spicy Pink Pepper from Madagascar, juxtaposed with succulent Mango and exotic Blackcurrant for an indescribably mysterious opening sensation that scintillates the senses.